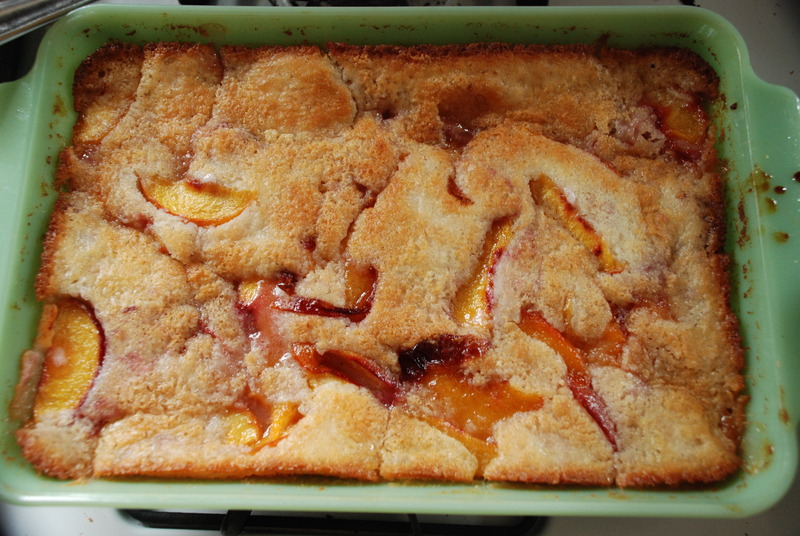 I was on the look-out for a simple, easy, delicious recipe for a fresh peach cobbler…easy right?? The hang-up was that I wanted a gluten free version….and I didn’t want to spend a small fortune on specialty flours that I had to mix with Xanthum gum or the like. Again….busy mom and no time. 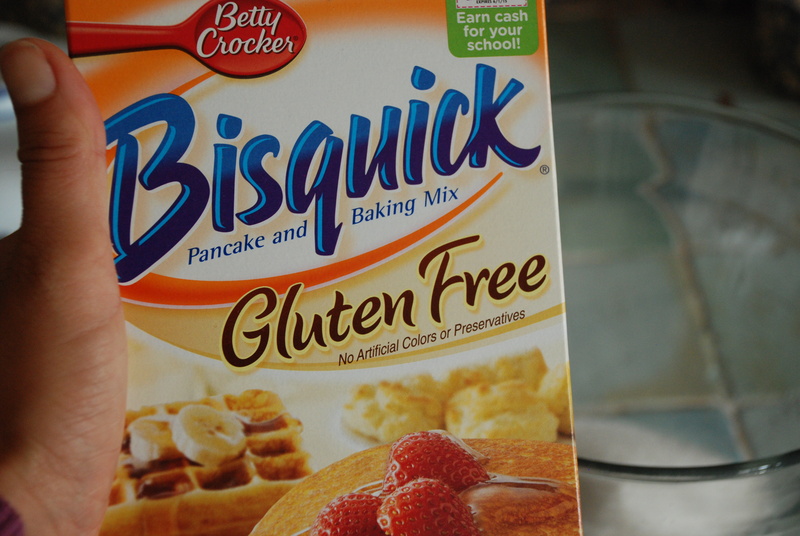 So, I found a simple recipe that I tweaked subtly by switching out the called for “mix” with Bisquick’s new Gluten Free Baking Mix. The result was to DIE for….OMGSH so good!! First slice up 4 cups of delicious, fresh peaches and add a tablespoon of lemon. Next, add one cup of sugar and then heat.While your peaches come to a boil (which btw you don’t wanna overcook into mush), get out your GF Bisquick mix and combine it with your dry ingredients and milk. Do not over-mix, just moisten. (Note: the original recipe calls for you adding another cup of sugar to this mix here…it does give it an awesome texture as it crisps and caramelizes, but it makes it too sweet. 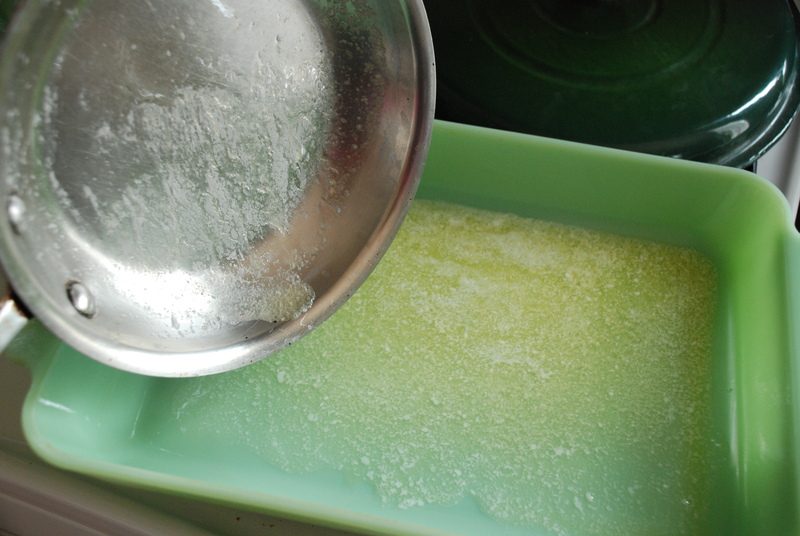 Next time I make this dish, I think I am going to reduce it to a half cup) Now get out your baking dish and pour in a stick of melted butter. Yes, I said a stick…a whole stick! This is gluten free, but I didn’t say it was healthy…not with this much butter and sugar 🙂 , just yummy! 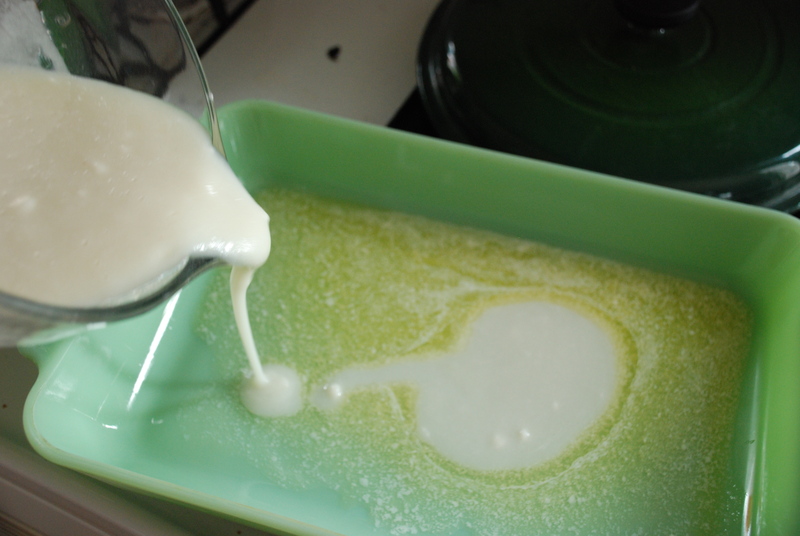 Now, pour in your “batter”—-DON’T MIX, just pour it all over. 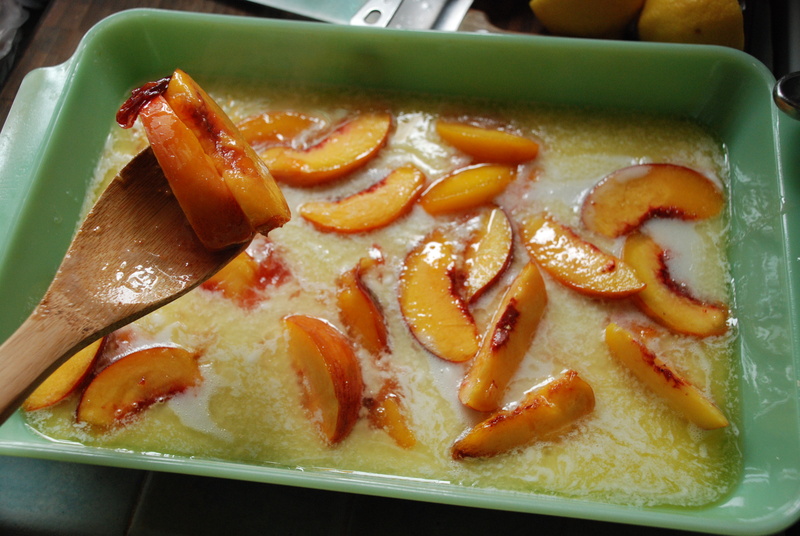 Now, spoon in your beautiful peaches…that you cooked just til they released their juices, but haven’t turned into peach sauce (this is the beauty of this dessert…the fruit maintains it’s identity….not to be confused with canned, syrupy, mystery fruit). 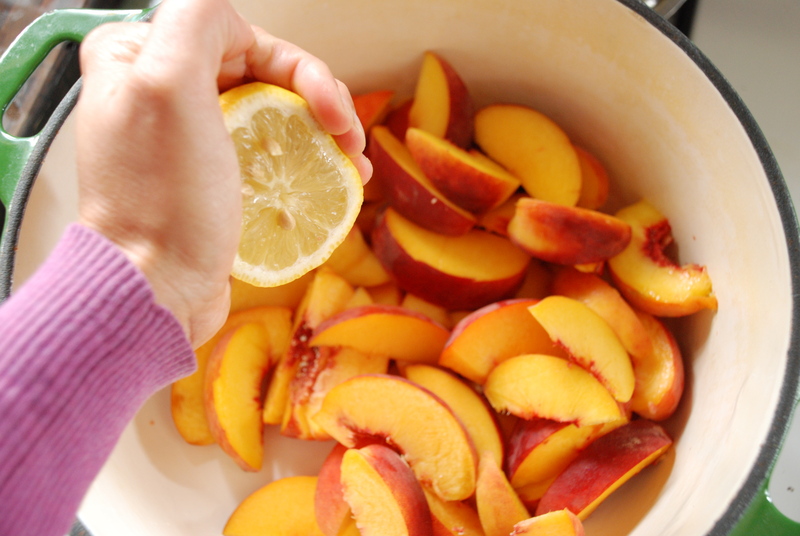 After you have distributed the peaches evenly, don’t mix…just pop her in the oven at 475 degrees for 40-45 minutes. And voila! This recipe is really delish, and goes so great with whipped cream, ice cream or even a beautiful creme fraiche (to cut the sweetness). Bon apetit, all you GF peeps!